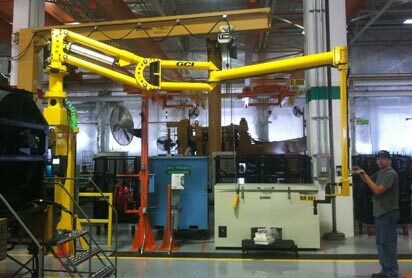 To provide a professional representation of select "World Class" Manufacturers of Engineered Industrial Products nationwide by specializing and providing technical solutions in Material Handling, Automation Equipment, Applied Ergonomics, and Manufacturing Engineering. Martec, Inc. has represented and provided technical solutions for a select handful of "World Class" Manufacturers for over 25 years. We are located in Excelsior, MN. (Suburb of Minneapolis). Although our market area mainly consists of Minnesota, North and South Dakota, Iowa, Wisconsin, Nebraska, and Illinois. We have recently expanded our area of coverage to include all 50 states. Our company is made up of a Technical Sales Force that consists of: Eric Swanson and Kirk Swanson. Please contact us for prompt technical solutions and product support for Material Handling, Automation, Ergonomics, and Manufacturing Engineering Equipment.